The holidays are a time of giving and sharing. Whether its giving gifts to a loved one or sharing your dinner table with friends, the fulfillment we receive from comforting others is better than anything that could be bought in a store. Austin is a city that is full of opportunities to help out your community, especially around the holidays. Get into the spirit by heading to one of these holiday charity events around Christmas in Austin allowing you to make an impact this season. Benefitting Operation Blue Santa, The Chuy's children giving to children parade has been an Austin tradition for many years. Blue Santa was started in 1972 by the Austin police department and has been providing less fortunate children presents for over. The parade is full of decorated floats, balloons, and classic cars that start on South Congress and go through the heart of Downtown Austin onto Ceaser Chavez street. Children will have a chance to see their favorite characters, marching bands, and the big man himself, Santa! Santa's helpers will stand along the side of the parade route and help children donate their toys to the charity. This holiday charity event in Austin is always looking for volunteers and sponsors to help out with the parade and contribute to such a great cause. Be a part of something special this holiday season and be a personal Santa to someone less fortunate by helping with the parade on November 24 at 11 a.m.
What's more fun than running a 5K with your friends? Running a 5K for a great cause dressed in your best holiday attire, of course! Run Run Rudolph is a run for all ages that directly benefits the Toys for Tot's program. The Toys for Tots was started by the U.S Marine Corp in 1947 with a goal to provide less fortunate children the joy of receiving a gift. This 5K is different from your standard run because you get to choose the location where you run, so you can run at your own pace. Whether you decide to run or walk indoors or outdoors, you're going to be contributing to a great cause. This holiday charity event in Austin is also flexible because you can run or walk anytime you want to from December 1 through January 19. During the holiday season, temperature tends to drop, meaning many places experience cold weather. Unfortunately, there are some families who are not able to afford coats to keep their children warm. Thankfully, The Junior League of Austin started the Coats for Kids program, a holiday charity event donating more than 34,000 coats to children in need every holiday season. You can help out by donating a lightly used coat or volunteering on coat distribution day on December 8 at the Palmer Events Center. Provide a little warmth this holiday season and give a coat to someone who needs it! Every year since 1983, the Austin Junior Forum has hosted a Christmas extravaganza at the historic Caswell House. The AJF decorates the house from head to toe and offers holiday-related shopping that includes ornaments, holiday decorations, jewelry, clothing, and gourmet foods. 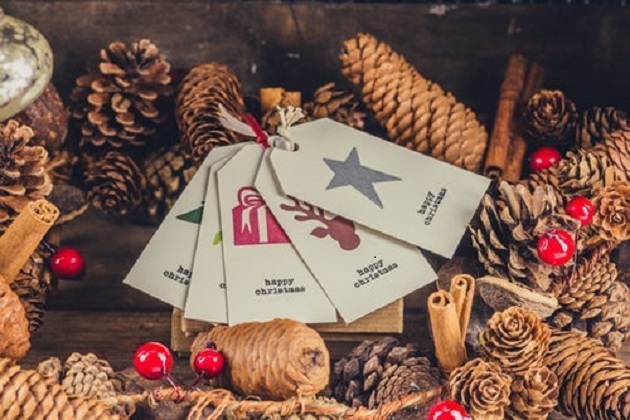 In addition to shopping, the house also hosts various holiday-themed events such as Milk and Cookies with Santa, Shop til' You Drop Happy Hour, and holiday luncheons. The best part of this holiday charity event in Austin is part of all the proceeds go to non-profit organizations. The forum has donated over $1.7 million in grants to nonprofit organizations and shows no sign of slowing down any time soon, so come for a great cause this holiday season at the Caswell House on December 2! There are many different organizations all over Austin doing great things this holiday season, and many of them are always looking for help. So do some giving back this holiday season and contribute to a great cause at one of these holiday charity events in Austin! For more Christmas events in Austin, register on 512area and connect to everything going on in the Austin area. Best of all, it's free!